Buckle Doesn't Care That Rabbits and Goats Die for Its Items ! PLEASE SIGN ! ! This clothing retailer-with 450 stores in the U.S.-still sells items made with angora, which comes from terrified rabbits who are restrained so that workers can rip out fistfuls of their hair while the animals scream in agony. 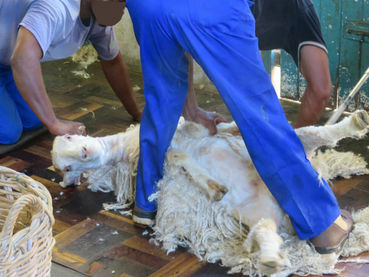 Thanks for telling Buckle to stop selling angora and mohair! Thank You for Speaking Up for Animals! N & S. Thanks, Cher. Would have appreciated a warning of the graphics. Very upsetting.